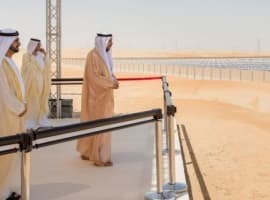 On a recent warm evening in the Dubai desert, government ministers and business leaders gathered to mark a major milestone in solar power, one of worldwide significance. A new phase of the Mohammed bin Rashid Al Maktoum Solar Park (aka MBR Solar Park) was opened. The assembled crowd was joined by the solar park’s namesake, the Ruler himself, in a large air conditioned tent. MBR, in the desert at Seih Al-Dahal some 30 miles south of the city of Dubai, is now a massive array of solar panels that spreads for miles and continues to grow. It is the largest solar park in the world that in 2016 achieved the lowest prices for solar-powered electricity in the world. As such, it seems a fitting facility for Dubai, the small Emirate that thrives on notability and spectacle. The occasion, complete with an Arabian dancing troupe and a large screen animated presentation, was the inauguration of a first stage of the solar park’s Phase 3, bringing 200MW of the 800MW photovoltaic third phase into service. It was this phase that achieved the lowest Levelized Cost of Electricity (LCOE) as a result of auctioning, breaking a threshold at USD 2.99 cents per kilowatt hour (kW/h). 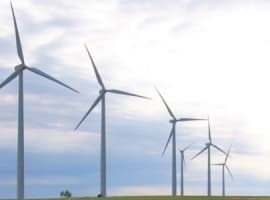 It is being built by a consortium of Masdar, a subsidiary of Abu Dhabi’s Mubadala Investment Company, and the French company EDF Group through its subsidiary EDF Energies Nouvelles. Known for being the first, for having the biggest and the tallest, Dubai now wants to be known for the smallest. According to its Clean Energy Strategy 2050, the Emirate will strive to become a world leader in renewable energy and make Dubai the city with the smallest carbon footprint in the world. MBR will play an important role in that aspiration. It’s breaking world records for a single site based on the Independent Power Producer (IPP) model with auctions driving down costs. The remaining stages of Phase 3 will be complete in 2020. The 800MW array will consist of over 800,000 self-cleaning solar cells that maintain a high-performance level. It features an advanced solar tracking system that follows the sun to increase generation efficiency. The robotic cleaning is a dry method requiring a water application just twice each year. MBR Solar Park began with a 13-megawatt first phase completed in 2013, followed by a 200MW photovoltaic second phase completed in 2017. The current third phase will be followed by a 700MW fourth phase, the world’s largest concentrated solar power (CSP) project, awarded in 2017 to a consortium of Saudi Arabia’s ACWA Power and China’s Shanghai Power. Its first stage is planned to enter service in late 2020. The CSP facility will add important storage capacity to Dubai’s growing solar power portfolio. Using molten salt thermal energy storage fluid, it will achieve storage capacity of 15 hours throughout the day, meaning solar power can be pumped into the grid even with little or no sun shining, as dispatchable solar energy day and night. The new addition of 200 MW, together with the first two phases now in operation, mean that Dubai is now generating about 4 percent of its power from renewables. But this small share will rise significantly with phases 3 and 4, which will give MBR 1,700MW of electric power. The MBR Solar Park is planned to reach a total capacity of 5,000MW by 2030, over an area of some 30 square miles. The huge solar park, when complete, will provide a good foundation for Dubai to reach its renewable energy goals. The Dubai Integrated Energy Strategy expects solar to make up 25 percent of the Emirate’s energy mix by 2030, with the proportion of natural gas declining to 61 percent (the rest being nuclear and ‘clean coal’). Looking further out, the Dubai Clean Energy Strategy 2050 intends that 75 percent of Dubai’s total power output will come from clean energy by 2050. As the UAE has little in the way of wind resources (it’s too far south for much wind), most of this will come from the sun. Rising from 4 percent to 75 percent looks daunting but experts looking at the challenge think it’s achievable. Dubai’s total installed capacity, including new gas-fired, coal and solar power, will be about 13,000 megawatts in 2020. With phases 3 and 4 coming, solar will rise from 4 percent to about 13 percent of the total. Looking out another 10 years to 2030, assuming that demand grows by about 3 percent each year and that Dubai Electricity and Water Authority (DEWA) keeps a 20-30 percent margin over estimated peak demand, total installed capacity will reach 20,000 megawatts. The then completed MBR Park will then be supplying 25 percent of the total. That’s right on target. But looking toward 2050 it’s necessary to sees Dubai’s challenge in terms of the UAE’s overall energy goals. 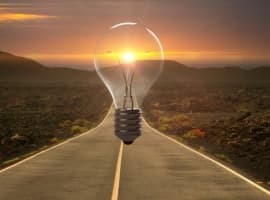 According to the UAE Energy Plan 2050, the country’s first energy strategy, the entire UAE has set a goal of 44 percent renewable energy in 2050, mainly from solar. This includes Dubai and Abu Dhabi, which is breaking bid price records at its big solar project at Sweihan in the desert near Al Ain. 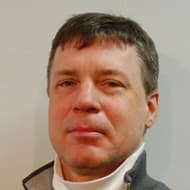 Steven Griffiths, who is Senior Vice President for Research and Development at Khalifa University of Science and Technology in Abu Dhabi, makes the assumption that in order to achieve the UAE’s clean energy targets for 2050, the country’s total installed power capacity may need grow to as much as 110 GW, with Dubai accounting for about 30 percent of this. So, assuming that Dubai achieves its own clean energy targets as part of the broader UAE agenda, total generating capacity in the Emirate could increase to about 30 GW by 2050, meaning that the Emirate will need to build four MBR solar parks to meet its goal (assuming each has 5GW capacity). Griffiths has undertaken research on Dubai’s alternative energy program. He says that the Emirate will gain a few gigawatts from rooftop installations, but the most efficient and significant deployment will have to come from utility scale, in order to reach its goal of 75 percent clean energy in 2050. “They will need to keep filling the desert with panels,” Griffiths says. “And to achieve efficient maintenance, clean them with autonomous robotic systems, which is aligned with the UAE’s interest in applying artificial intelligence in the energy sector,” he adds. Of course, it’s much more of a challenge than simply adding new solar capacity. Researchers at Khalifa University’s Advanced Power and Energy Center, a new research center under Griffith’s leadership, are anticipating what happens when the UAE hits its high renewable targets. Griffiths thinks that, for the UAE, an important milestone will be reached when renewables begin to move above 20 percent of electricity. At that point, it will be important to achieve optimal grid balancing for intermittent solar, and he sees CSP – not necessarily lithium batteries – serving for long-duration storage. But as the share continues to rise, he and his researchers anticipate the need for technologies that are still under development. They’re working on very large flow batteries, which when combined with CSP provide a storage approach to meet winter needs and carry energy across to the warm season when demand for electricity is much higher due to cooling requirements. Longer term, Griffiths thinks that different applications with hydrogen will be important. He’s now engaged in seasonal storage modeling. Eventually, he sees the need for all of the Emirates to begin to collaborate as one grid. But with technology developing so quickly, he says, five-year planning and implementation cycles under longer-term strategies will be necessary to achieve unified targets for the country. Not far off from the MBR Solar Park is the site of Expo 2020, now under construction, upon which Dubai has pinned a lot of hopes. It should help to propel the Emirate’s economy and its fame. The Expo will rely on a dedicated supply of 464 MW of clean energy from the MBR Solar Park. As such, it will be the first Expo to meet at least half its energy needs from renewable sources. It’s yet another first for Dubai.